How far along: 18 weeks, Every Sunday is a new week for me. Next appointment: August 13th is my 20 week ultrasound the hospital I am going to be delivering at (That was weird to type) and August 14th is my 20 week OB appointment because I will be out of town the following week so having it 2 days early wasn’t a problem according to my doctor. Total weight gain/loss: As of now nothing. By August 14th I am sure that will change. 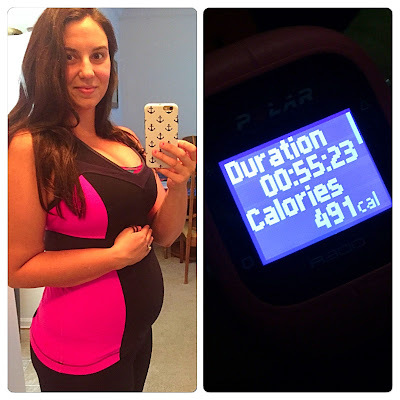 Exercise: I made it to two Tabata classes in addition to my daily walks. Still haven’t hit my weekly 4 class goal but this will be a lot easier come September as August is the busiest month we’ve had so far. Any Baby/Pregnancy-Related Purchases or Gifts? 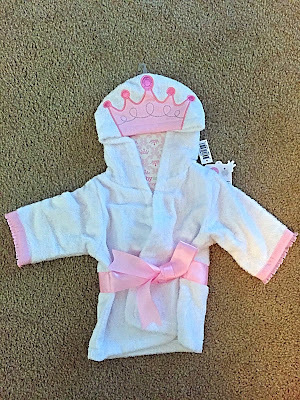 My aunt and uncle sent us the most adorable bathrobe for Molly. It was a total surprise and I was so excited when I opened the package. Eddie and I sat on the couch talking about how we can’t believe our daughter is going to be wearing this in a few short months. It just doesn’t seem real. 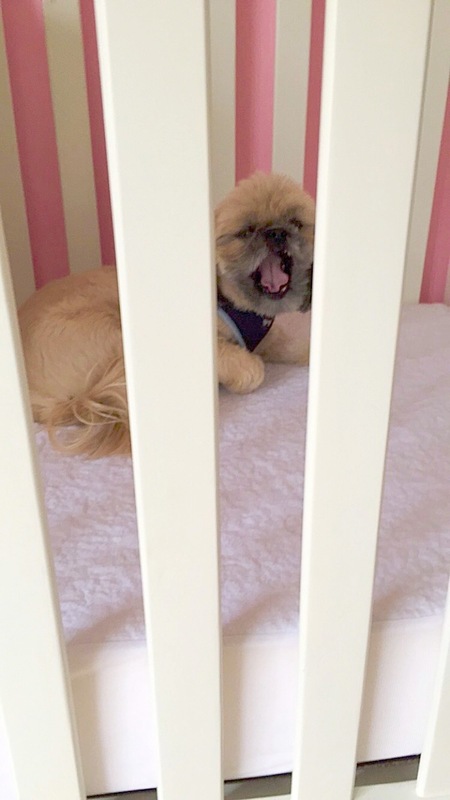 Sleep: Best week of sleep yet! 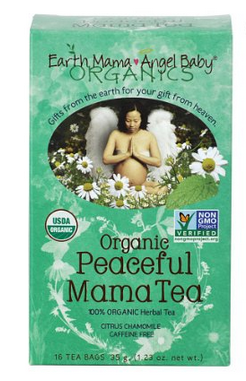 I ordered some Earth Mama, Angel Baby Peaceful Tea from Amazon earlier in the week as a replacement for my sleepy time tea I drank pre-pregnancy and I swear it has helped me not only relax but sleep much deeper. I have made it a little ritual to climb into bed, read one of my books while sipping this tea every night and it is quickly becoming my favorite part of the day. Symptoms: Hormonal anxiety- This is something I have always had when it came to PMS and I dealt with a lot in the first trimester. For some reason it came back in full swing the earlier part of this week and stayed for 2-3 days. Thankfully I know the cause of it and can usually self soothe/talk myself out of it but hormonal anxiety is by far my least favorite symptom to date. 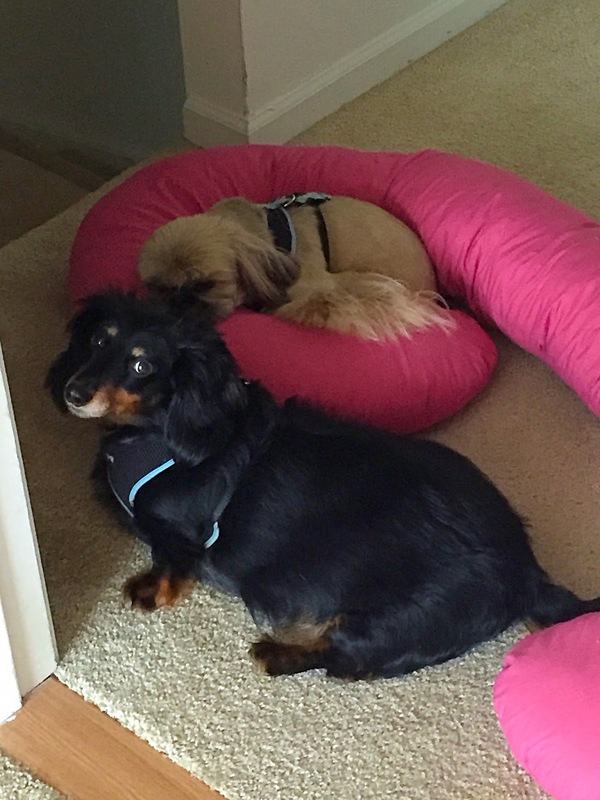 Nesting BIG time. I cannot seem to get anything clean or organized enough these days and Eddie is ready to kill me I’m sure haha. I just find myself looking around and wanting everything GONE, I spent one morning reorganizing our guest room/office and threw away so many things, it felt amazing. I also want to go through my closet put everything that doesn’t fit into boxes, toss out most of my shoes (they are never worn) and start over. Oy! Movement: I am still not 100% sure but I think I have been feeling little kicks/jabs/flutters. I am hoping to talk to the ultrasound tech about this next week. What I'm looking forward to: My anatomy scan and my 20 week OB appointment next week. I cannot believe I am almost halfway through my pregnancy already! I cannot wait to meet our little girl in January. Best moment this week: Max wanted to climb into Molly's crib and he spent a decent amount of time napping in there while I folded laundry and then later in the week I found him curled up in my Snoogle which I had taken out of our room because I was heading out of town for the night and I can't leave home without it! I'm a terrible virtual friend. I remember when I used to stay up on your blog on the daily, and now I'm finding out that you are pregnant, and it's probably old news. BUT I want to say congrats and I'm so excited for you. Being a parent is one of the most exciting things that has ever happened to me. Wishing you the best. So exciting!! That bathrobe is adorable. I love shopping for baby clothes! !